We are all free-thinkers. We hold the ability to form our own opinions, daydream, overthink, critically think, and even conjure up tales of adventure and loss using our creative minds. Our minds are separate from the Self, so even though the mind is essentially an illusion, it can be thought to represent a portion of our individuality. Have you ever thought about how much of your thoughts are truly and authentically your own? The fact of the matter is that we are subject to propaganda, false advertising, and other methods of manipulating our thoughts and perceptions every day. 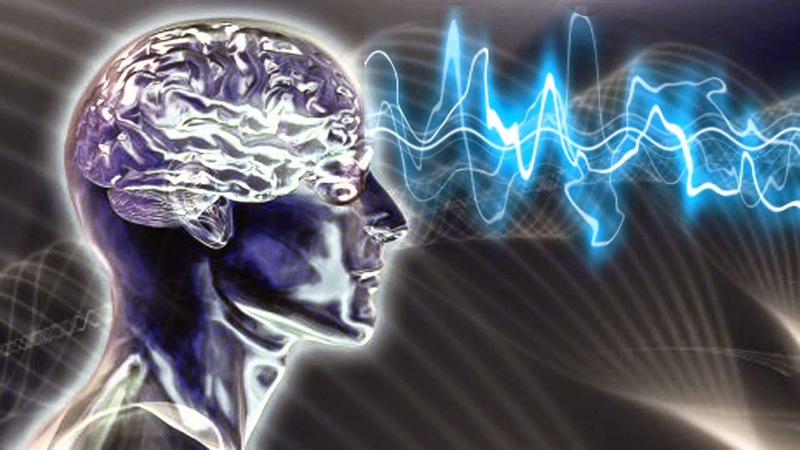 For a long time, the elite has used different tools to influence our thoughts and actions, a tactic often referred to as frequency control. It’s practically impossible to escape mass marketing advertisements in North America now. Even if you live in a rural area, you’re bound to come across a giant McDonald’s sign eventually. We’re told what to eat, what clothes to wear, and even what pharmaceutical drugs to take through advertisements! Even though it’s illegal for Big Pharma to advertise drugs in other countries, it’s completely legal in North America. The advertisements are often misleading, overstating the benefits and completely omitting the risks or potential side effects (or simply putting them in tiny, illegible letters). The FDA has stepped in multiple times, sending pharmaceutical companies warning letters or even forcing them to take down their ads because they are false, misleading, and/or exaggerate the effects of their drugs (source). Whether it’s an ad for cancer drugs, over-the-counter meds, or even an ad targeted at parents for ADHD pills for their children, they’re often a form of false advertising. Why do you think everyone seems to own the same things? Everyone wants the newest iPhone, the latest pair of Nikes, and more. We live in a consumeristic world, a fact that has become so blatantly obvious that North American teenagers are starting to look like clones of one another. This begs the question: How much of what you like to wear or eat is actually because you like it, and how much because you’re being told to like it? After graduating from high school, society encourages us to go to university, get a steady 9-5 job, get married, buy a house, have children, and save a tonne of money for retirement. If these societal goals aren’t met, we’re deemed unsuccessful. We decide we want to get married before we’ve organically met the right person and we claim we want to have kids when we don’t even know ourselves yet. People seem to be more concerned about accomplishing these goals than actually living in the moment and enjoying life. Who was it that created this social timeline and why do we feel the need to follow it? Married or single, gay or straight, rich or poor — these norms have created labels that we use to differentiate one another. We begin to identify ourselves using them, tying them to “who we are” when the answer to that question cannot be explained by these physical illusions. The elite has essentially forced Stockholm Syndrome onto society; we are so caught up in these norms that we don’t even realise we’re trapped and imprisoned by them, and we start to love them. The moment someone else deviates from the norm, we consider them “crazy,” when in reality they’ve just woken up! All of the advertisements and systems in place encourage us to follow this path and idolise it. Don’t get me wrong — there’s nothing wrong with going to school, getting married, having kids, and working a lot. If you’re happy and fully connected to yourself and your surroundings, then clearly this works for you. But the increasing divorce and suicide rates suggest that perhaps these societal pressures aren’t working for everyone. Keeping us in the dark is something that the elite is very skilled at, especially since many people don’t even know who “the elite” are (or the shadow government). Documents upon documents are kept classified, particularly UFO files and black budget programs. These projects are those that are carried out through the black budget. There are other government programs designed to keep inventions and information in the dark, such as the Invention Secrecy Act (you can read more about that in our CE article here). Even science cannot always be trusted when it comes to withholding and falsifying information, as a whopping 50% of scientific literature is estimated to be false. And this isn’t just random scientific studies; this includes peer-reviewed articles and government studies. For example, CDC whistleblower Dr. William Thompson publicly apologized for falsifying research, much of which was considered “pro-vaccine.” Years later, he came out admitting what he’d done, and confirming that the vaccine-autism link is very real (learn more in our CE article here). The modern education system is filled with propaganda that only benefits the elite. For example, many people grow up thinking that North America was founded by the British. In reality, when the Europeans took over America, it represented perhaps the greatest genocide in history. American anthropologist and ethnohistorian Henry F. Dobyns estimated that more than 100 million people inhabited the Americas prior to Europe’s arrival (source). Other scholars have estimated the number to be as low as 10 million, and everything in between. For example, William M. Denovan, Professor Emeritus of Geography at the University of Wisconsin-Madison, believes there were approximately 54 million inhabitants (source). Another example is the education provided in medical school. Doctors aren’t taught any sort of preventative measures and they’re barely informed on proper nutrition. The Rockefellers, who dominate pharmaceutical markets, have actually helped design medical school curriculum, not to better it, but rather to push the usage of more pharmaceuticals in order to raise their profits. It’s no secret that the elite control mainstream media (MSM). They orchestrated 9/11 to be reported as a “terrorist attack,” for election data to be falsified, and for us to be fed propaganda at all levels, especially when it comes to war. If you’re only watching MSM, you likely have no idea what’s actually going on in Syria, with Russia, or in regards to any foreign conflict or wars. The CIA’s Operation MOCKINGBIRD is the government program referring to its interest and relations with MSM. MOCKINGBIRD stemmed from the CIA’s forerunner, the Office for Strategic Services (OSS, 1942-47), which, during World War II, created a working relationship with journalists and psychological warfare experts operating primarily in the European theatre. A lot of what we buy, how we feel, and what we value is determined by the entertainment industry. Society tends to idolize celebrities, watching their every move on reality TV shows and in magazines and allowing them to inspire our choices, especially our buying habits. There’s a lot of strange elite and occult symbolism found in music videos and movies, which, if you’re interested in, you can read about on Vigilant Citizen. It’s even been speculated that Monarch Mind Control, an extension of the governmental program MK Ultra, has been used in Hollywood (read our CE article here). Not many people know this, but the CIA has an entire department dedicated to the entertainment industry. It’s run through the CIA’s Entertainment Industry Liaison Office, which collaborates in an advisory capacity with filmmakers. The CIA doesn’t just offer guidance to filmmakers, it even offers money. In 1950, the agency bought the rights to George Orwell’s Animal Farm and then funded the 1954 British animated version of the film. Its involvement had long been rumoured, but only in the past decade have those rumours been substantiated. The link between Hollywood and the CIA isn’t something new (you can read more about that in our CE article on whistleblower Roseanne Barr here). Tons of people over-eat, indulging in foods that are terrible for our bodies and are extremely low frequency. Food is designed to energize us; it should be benefiting our health, not cutting years off our lives. This begs the question: Are we eating foods that are unhealthy because we like the taste or because we’ve been manipulated into doing so? We are surrounded by advertisements for food (most of which is terrible for us), and food has shifted from being a means of sustenance to a global industry. Corporations play a significant role in defining what’s healthy and what should be considered legal or illegal in regards to the food industry. For example, the USDA Food Guide Pyramid states you should eat 2-3 servings of milk, yogurt, and cheese, despite the fact that only 75% of people can actually digest milk properly, as well as 2-3 servings of meat, poultry, fish, dry beans, eggs, and nuts per day. Walter Willett of the Department of Nutrition at Harvard University states that “individuals can be very healthy with no dairy consumption at all,” and numerous studies have proven that meat consumption can cause cancer, heart disease, obesity, and many more health complications. However, according to the USDA guidelines, that’s incorrect. So, where did the disconnect occur between the government and science? Well, the government has heavy ties to the dairy industry, as the government has helped food providers become more dairy-based, and implemented milk education into school programs. Check out this video that elaborates on the government’s ties to the dairy industry here. When it all comes down to it, the elite have control over the financial system, and finances control us. We live in a society that functions off of the money that circulates throughout it. Money is the very basis of all societal systems, and it is one of the key motivators behind the elite’s actions. The elite control so many aspects of our lives that it can sometimes be difficult to even think of our lives as being our own anymore. However, it’s important that we don’t meet this with fear. By educating one another, we can begin to recognize how these systems affect us and look at things objectively. If you find yourself surrounded by billboards or listening to propaganda on the news, ask yourself: How is this affecting my decisions and my life? By raising our consciousness, increasing our vibration, and educating ourselves, we can shield ourselves from this type of manipulation and frequency control!